The Kiwi, Blue's top-of-the-line Class A Discrete microphone model, features 9 selectable polar patterns including cardioid, figure-8, omni, and selections in between. This is achieved in a careful, unique manner using Blue's double-backplate capsule. This unique capsule is measured in an anechoic chamber to ensure optimum performance. The capsule assembly is mounted to the Kiwi Microphone's body with a mold-injected rubber stem to help isolate unwanted rumble. 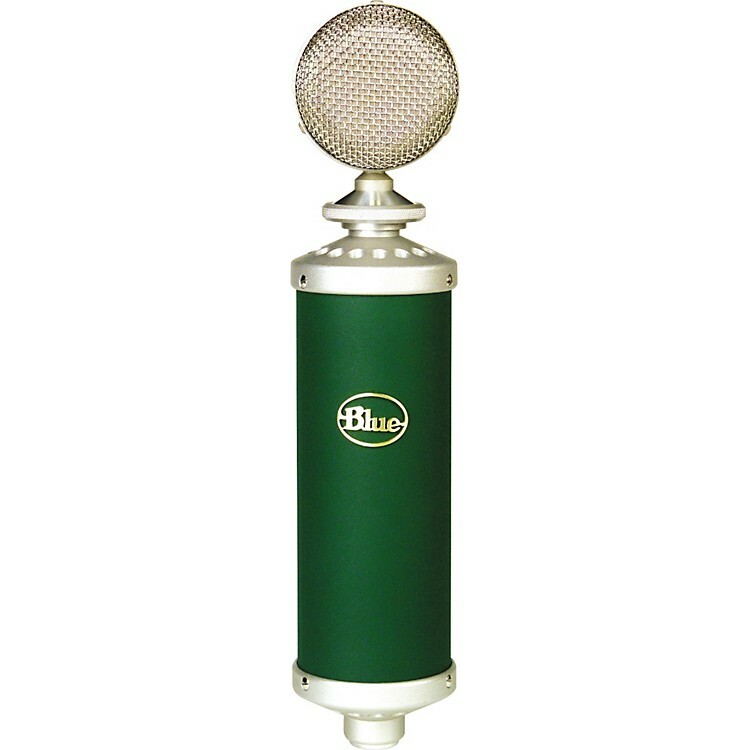 The Kiwi is a microphone that provides enough options to satisfy the needs of even the most critical recordist! Your recordings demand the best quality. BLUE satisfies that demand! Don't delay, BUY IT TODAY!